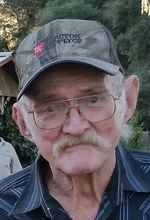 Oscar "Bunk" Parker, 79, of Bushnell, FL, passed away Monday, February 11, 2019, at Leesburg Regional Medical Center in Leesburg, FL. He was born in Colquitt, Georgia to George and Carrie Parker. He was preceded in death by his wife, Patty Parker. He is survived by sons: Kerry Parker (Melanie) of Center Hill, FL, Walter Parker of Bushnell, FL; daughters: Tonota Lee Parker of Center Hill, FL, Torri Nicole Parker Rappleyea (Bill) of Bushnell, FL; 11 grandchildren, 6 great-grandchildren; and brother: Bobby Parker (Janice) of Pikeville, TN. A time of visitation will be held on Thursday, February 14, 2019 from 6:00 to 8:00 p.m. in Purcell Chapel. A Service will be held on Friday, February 15, 2019 at 2:00 p.m. in Purcell Chapel with Pastor Daniel Kellum officiating. Interment will follow at Center Hill Cemetery. To send flowers to the family of Oscar "Bunk" Parker, please visit our Heartfelt Sympathies Store.